Over 1 million pay-television subscribers in the US canceled their services in 2011. The majority of these cord cutters instead opted for cheaper online streaming services like Netflix and Hulu Plus, according to a new report from the Convergence Consulting Group. Roughly 2.65 million subscribers have dropped their cable or satellite television service since 2008 with 2011’s tally of 1.05 million setting a new record. Brahm Eiley from Convergence Consulting believes that the trend will slow slightly in 2012 as content owners increase streaming prices and become more strict regarding access. He expects around 930,000 customers to ditch their service providers this year. It isn’t all bad news for cable providers, however, as collectively they are expected to add around 185,000 new accounts this year, an increase of 73,000 from 2011. In Canada where online content is fewer and far between, new television subscribers will drop from 222,000 last year to only 180,000 this year, the company estimates. 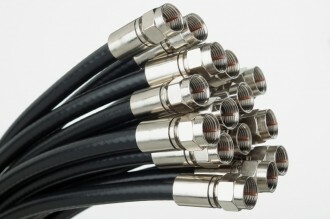 A troubled economy likely played a part in many people’s decision to ditch cable as well. Netflix streaming services start at only $7.99 per month, or roughly around the same price as it might cost just to rent a cable box from a traditional content provider. Bloomberg reports that Netflix finished 2011 with 21.7 million US subscribers, although they believe that programming costs have skyrocketed this year. If true, it’s likely just a matter of time before those added fees are passed down to the customer.